Editorial: Could Thoughtexchange help save the world (as we know it)? Image from the Thoughtexchange website. We received a press release from Rossland-based company Thoughtexchange announcing the successful closing of about $4 million in convertible note financing from Yaletown Partners and existing angel investors, to fund further expansion. The press release material is included below. Thoughtexchange has been going from strength to strength since its inception. 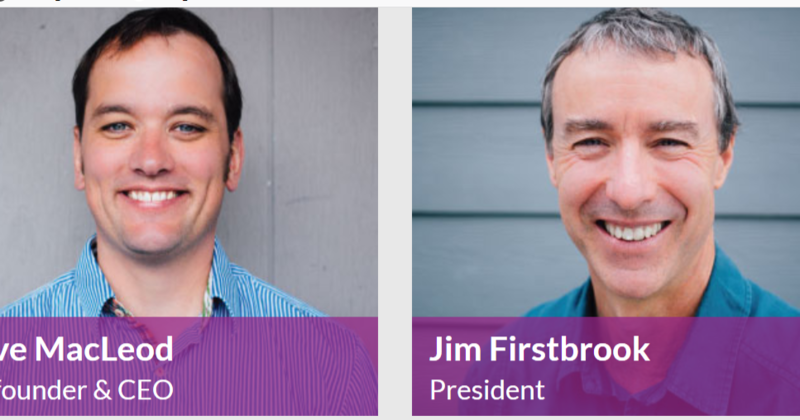 Started in 2009 by Jim Firstbrook to create “crowd-wisdom" software, Thoughtexchange has its head office in Rossland, with 40 employees here. It also has an office in Nelson with seven employees, and an office in downtown Vancouver; there are about 100 employees in the Lower Mainland. Thoughtexchange has evolved into a two-way experience platform used by millions of people across many industries. The product allows leaders to ask open-ended questions while AI ensures everyone’s responses are considered and rated by other participants. Proprietary real-time analysis tools empower leaders to take action based on understanding common ground and key areas of disagreement. “We are growing by more than 100% year-over-year and didn’t want to narrowly define our valuation until we exceeded double digit ARR (annual recurring revenue),” explains Dave MacLeod, Thoughtexchange’s CEO since 2015. “The two-way experience market is heating up and with our current funding, momentum and growing list of passionate advocates we are now excited to raise a significant Series B to fuel our expansion." “We are thrilled to invest in Thoughtexchange and look forward to supporting them as they continue to grow into a globally successful Canadian tech company,” comments Salil Munjal, Managing Partner at Yaletown. Contemplating the comments above from the press release, and my own experiences with Thoughtexchange, and the question of what really matters, I began to wonder. Could Thoughtexchange help political leaders understand what really matters by way of the science behind such urgent messages as “Scientists’ Second Warning to Humanity” and the October, 2018 report from the Intergovernmental Panel on Climate Change? Could it help leaders feel connected to their life-support systems? Could it connect them with the relevant information? Could it help governments take the drastic actions needed to avert widespread ecological, economic and social catastrophe? Thoughtexchange’s applications are many, and the challenge to help mobilize governments to achieve the radical changes required for our long-term survival is something I have no doubt it could handle – if only the right people would set it the task of asking the right questions of those best qualified to answer them. And if only those “right people” had the guts to act on the results. All right, Thoughtexchange – pitch it to the right people. Please. If you can find any.